Photo of: East Coast of Ireland: Wicklow: Avoca. 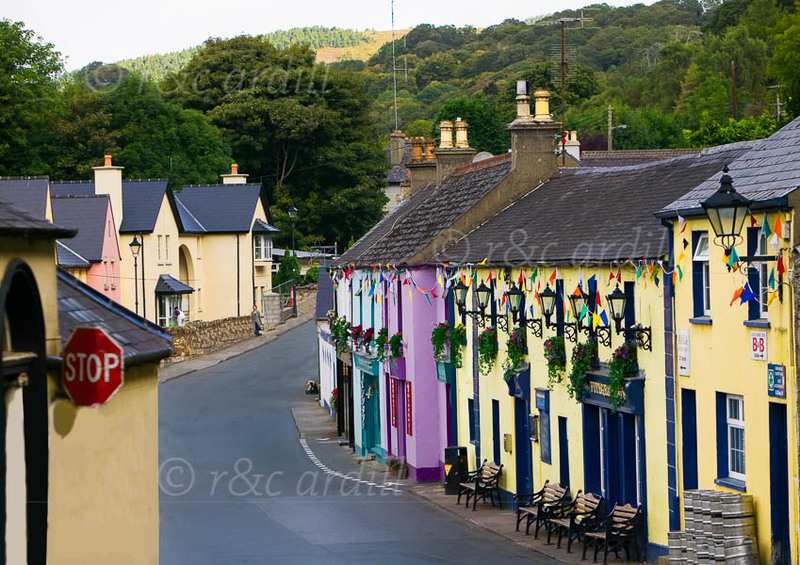 Avoca is a pretty village in County Wicklow. It is home to the famous Avoca Hand Weavers. It is particularly well-known as the site of the Ballykissangel series. Fitzgerald's Pub is in the foreground.